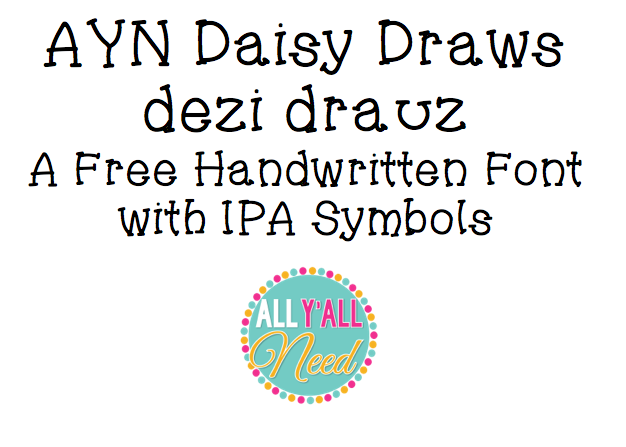 Introducing AYN Daisy Draws, a free handwritten font with IPA symbols because I'm an IPA geek. Enjoy! WHAAAATTT? I love it! Thanks!